How to overcome your fear of failure by listening to the stories and advice from inspiring people who have been there and done it before you. This is what Arianna Huffington said during an interview for Success Magazine. An inspiring and admirable approach, although one the vast majority of people are NOT given as a child. You may be one of the masses brought up to fear failure. It’s not to say your parents and teachers meant to, of course. They tried to protect us. They did their best to protect you and teach you. But as Arianna says, failure isn’t something you should fear (not if you wish to grow). After all, it’s failure that teaches us the most harsh yet important lessons of all in life. You may or may not have been brought up like Arianna, but lucky for you and me there are many places to turn to for overcoming your fear of failure. It’s this fear that holds you back, and it’s only when you tackle this that you’re able to spread your wings and fulfill your potential. So if you would like to finally overcome your fear of failure, grab your headphones and dive into these inspiring podcasts (and their inspiring hosts and guests). With over 600 interviews under his belt, Srinivas Rao has a unique interview style that dives deep into his guest’s story. With an eclectic range of contributors (ranging from artists to entrepreneurs, academics to athletes), the lessons you pick up are vast and valuable. The theme throughout: what makes these successful people remarkable and unmistakable. Failure, mistakes, and adversity is a theme that crops up a lot. You could pick just about any episode and find mass inspiration, but I recommend you start with his Beate Chelette interview, and her own journey into overcoming hardship, failure, and fear. Mike Dillard believes anyone can achieve anything, so long as you’re committed to changing your life and the world around you. Through his podcast ‘Self Made Man’, Mike interviews extraordinary people who have dedicated their lives to leaving a true legacy behind. This impressive list includes deep conversations with Tony Robbins, James Altucher, Rachel Maser, and Tucker Max. Although it’s his interview with Jesse Itzler which I suggest you begin with, as it delves into how to overcome your limiting beliefs and rid your fear of failure forever. After plunging into more than $70,000 of debt, Jaime Masters decided to interview as many millionaires as she could (what better way to learn, grow, and prosper). After hundreds of inspirational conversations, ‘The Eventual Millionaire’ has grown into one of the biggest podcasts in the world. Overcoming her own fears and adversity, Jaime today stands shoulder-to-shoulder with her guests, where they continue to offer inspirational lessons that help you grow your business and life. Her interview with Tim Hamilton personifies this, as he shares his own struggles with failure, and how he overcame this so it no longer held him back. Before podcast was even a word, Debbie Millman created ‘Design Matters’. She’s since interviewed hundreds of designers, artists, business owners, and authors about what makes them tick. In her conversation with Stephen Doyle, the acclaimed creative director discusses both his personal and professional journey, but it’s his insight into his own fear of failure (and how he overcame this) that strikes a nerve. Through ‘The Mindset Zone’, Ana Melikian produces the sort of podcast that leaves you questioning life as a whole. An esteemed academic who knows how the mind works, she doesn’t settle for mere theory. Instead, she creates inspirational experiences with each episode, and her own journey into failure (and how it intermigles with success) is sure to affect how you see your own. I suggest you begin here, but I warn you, you may binge-listen to the rest of the show soon after. In just over a year, Daniel Gefen has grown ‘Can I Pick Your Brain’ into one of the most in-demand podcasts around. Featuring all-star guests like Yanik Silver, Steve Sims, and JP Sears, Daniel literally picks their brain and gets more out of them than almost any other host would. His session with Jon Levy dives into how he went from being the kid at school nobody wanted to sit next to, to becoming a renowned influencer who brushes shoulders with thought-leaders and celebrities alike. An inspiring tale about how to overcome adversity in life, and one of many episodes that will inspire you to overcome your own fear of failure. 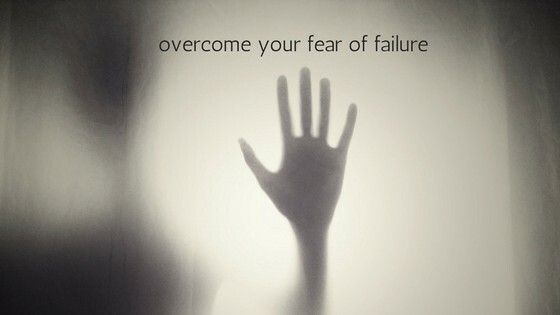 Even successful people have fears, but what separates those at the top is that they no longer fear failure. Like Arianna, they appreciate success isn’t always instant, and that you must stumble a few times before you find your way. This isn’t a bad thing. It teaches you a lot, and what holds you back is your irrational fear to something that happens to us all: failure. Listening to these six podcasts won’t vanish your fears into thin air, but they will inspire you to tackle your own. It’s one of the most effective ways to learn, after all: listen to those who have been there and done it before you. I hope you enjoy these podcasts as much as I do, and if you would like to learn more about how successful people turn failure into success, you may like to check out my book ‘The Successful Mistake’.